If you love Mexican food and have a cast iron stomach, Friday might be the day to put your talents to good use. 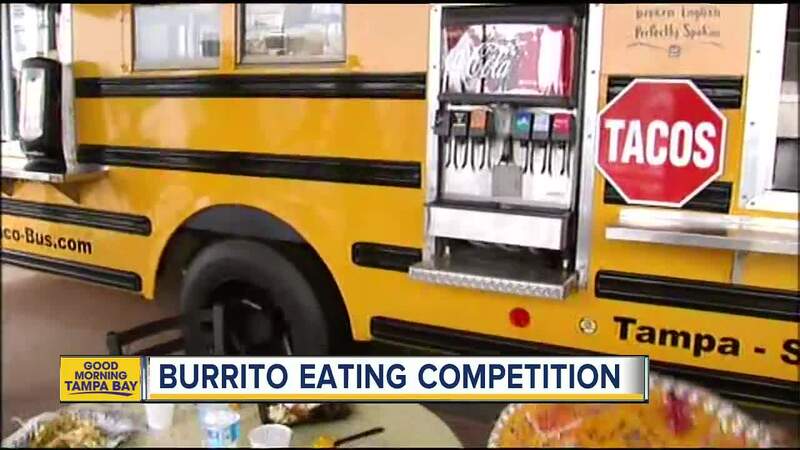 Friday is the last day to enter the Taco Bus "El Jefe Burrito Eating Championship." To enter, you have to visit one of the seven Taco Bus locations in the Tampa Bay area and purchase an El Jefe Burrito. The burrito is 2 and a half pounds and if you can successfully eat it in under 15 minutes, just ask a Taco Bus employee for an El Jefe Qualifier form. Take that form home and enter the code on the form on their website to be considered a finalist. Successful qualifiers will be notified on Monday, April 3rd and invited to the Final Event at Taco Bus when they will face off with the other finalists and compete for the Championship. You must be 18-years-old to enter. The Final event will be Thursday, April 6, 2017 and each finalist will eat to the finish. The one with the fastest completion of the El Jefe Burrito will be awarded the El Jefe Championship Belt and 2017 title.